When Mario came out in the 1980s, he rocked the gaming world and quickly rose to the top. And like so many people who are rocketed to fame and power do, he abused his power. He hung out with the wrong crowd, jumped on the wrong sort of mushroom, but that led to worse things. How will Mario be remembered in history? A leader? A fighter? Maybe just your average plumber? The purpose of this database is to expose the truth about Mario, in hopes that the world will realize their role model and childhood friend from the '80s has a hidden life that's much, much worse than they ever imagined. Maybe six hidden lives. Let's take a look at Mario's "trip" to save the Princess, shall we? Mario is a drug lord, who fights moving shrooms and imaginary turtle-creatures on his quest rescue the princess of "Mushroom Kingdom", probably a street name for the drug market. As the website will tell you, all of Mario's power-ups are illegal drugs. The game encourages children to start with shrooms, and then move on to stronger drugs such as "fire-flowers". Some of the drugs can give Mario an extra chance to live, or make him feel invincible! There's also some symbolism about hallucinations of flying turtles and smiling clouds, and that tall green plant that will take you to better part of the world if you climb it! See also the drug connections in Super Mario Bros. 2, with pills in addition to natural drugs! And don't even get me started on "Dr. Mario", the pill-popper who fights drug-induced hallucinations with more drugs. What kinds of pills are they? Ecstacy? Viagra? "As you are well aware of, The Alliance is comprised of mostly anonymous scary internet people." Apparently, Mario and Luigi are prominent scary internet people. So prominent, in fact, that they are the "Top Advisors" of the Alliance. They work regularly with figures such as That Zoom Zoom Kid and Yoda. I didn't do extra research on the Alliance because, you know, "What you don't know can't hurt you." And the Alliance looks very hurtful. And guess what?! The Alliance is still recruiting! 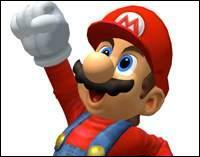 Do we have any brave volunteers to join the Alliance and infiltrate Mario's evil schemes? Look at Mario. The fat Italian plumber dressed in red, the color of The Glorious Union. He's on a quest to liberate the oppressed people from the borgeois "King Koopa"? Wait a second... Were there ever Italian royalty? Why would an Italian be fighting against a king? Or should I say a czar? By the end of his journey, Mario has conquered a kingdom, lowering their pennant of peace and raising his red star of Communism over their castles. Is Mario really Italian, or was he just sent to Italy so he'd stay out of the way of his brother Josef? Check the website; it has a fine comic portraying Mario's rise over the czarist regime. Also read the lyrics to Comrade Mario, for they can be quite revealing too. This page is a collection of animated gifs that proves once and for all that Mario has joined the Dark Side. Included in the cast are Megaman and characters from the Legend of Zelda series. I won't suggest this too much, since it's pretty crude and tasteless, but then again, so is Super Mario Sunshine. "Super Mario Sunshine is the latest game in Nintendo's popular series of games starring Mario. Mario embarks to beautiful Isle Delfino for a relaxing vacation, but someone posing as Mario has polluted the island. 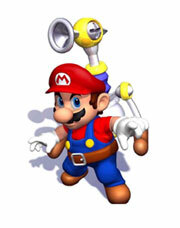 Using a wide variety of new moves, it's up to Mario to clean things up and clear his name." You have to hand it to the people at Nintendo. They're able to take Mario's everyday routine of destroying the evidence of his dirty work, and they make it into a game! Links on the webpage include "Join Mario's Clean-Up Crew". If this isn't open confession to recruiting young minds to assist the eventual birth of a Mariocracy? Who says Mario, in addition the being related to Stalin, doesn't also have connections with the Anthony of Anthony's Pizza?